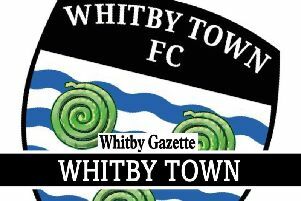 Whitby Town Football Club has added another side to its ranks, after agreeing a link-up with the town’s walking football team. The Blues will be represented by Active Coast and Country’s walking football side, who formed last year, in fixtures from July 16. The side faces off against a team from Redcar, wearing the Seasiders’ blue home strip, on Caedmon College’s astroturf, one of the venues for the twice-weekly sessions. Programme co-ordinator Tony Howard has expressed his delight at the link-up, and believes it will benefit both parties. “I think it’s a great idea,” Howard told the Whitby Gazette. “We’ve thought about expanding the walking football since the beginning of the programme and to get some recognition was the obvious step. “The biggest recognition was linking it to the local club, which is Whitby Town and it’ll be good to see the club backing a community team. “It’s nothing unusual, a lot of local football groups are now doing that. Even some of the top pro clubs are linking with walking football teams. Walking football sessions take part twice weekly, with a Wednesday session at Whitby Leisure Centre, between 12-1:30pm, and a Friday session at Caedmon (Scoresby site) astroturf, between 7-8pm.